Nowadays, there are so many mid-sized SUVs in the market, and with cars becoming more luxurious every year, the gap between luxury and non-luxury has never been smaller. These aspects make shopping for a new SUV extremely difficult. So for your benefit, our amazing customers, we decided to put two popular models against each other in this comprehensive comparison. To highlight the growing similarity between luxury and non-luxury brands we compared the 2019 Cadillac XT5 SUV vs 2019 Ford Edge Titanium for all our Ohio customers. After reading this you’ll be able to see just how well a top trim compares with a true luxury vehicle. Quiet Interior, distinctive exterior styling, spacious cargo bay. The XT5 blends a nice array of Luxury amenities for less money Than most other luxury midsize SUVs. The 2019 Ford Edge earns a spot in the top half of our rankings because of above-average scores across the board. While both these crossovers are five-passenger SUVs, the Ford Edge is a bit larger than the XT5; however with the XT5’s 40/20/40 split, there is plenty of legroom for backseat passengers in the Cadillac. Both of these SUV’s have foldable rear seats which open them up for tons of storage solutions. One of the glaring differences between these two models is the interior. Even being a base-level luxury SUV, the Cadillac XT5 is still, well, a luxury vehicle – and it shows. With padded and stitched leather, real wood, and brushed-metal surfaces, the Cadillac XT5’s interior is a step above even the Ford Edge’s premium trim design. The XT5 also has a leg up on the Escape when it comes to the standard engine. 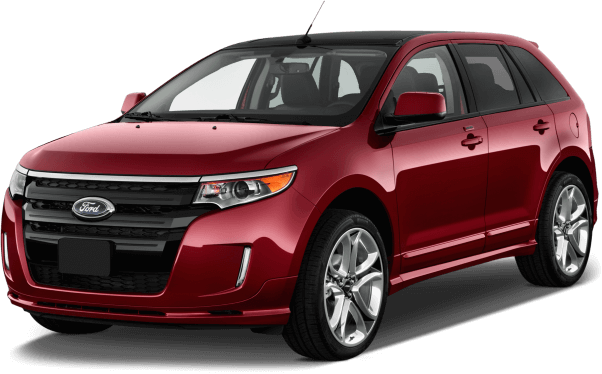 To maximize fuel efficiency, Ford went with a small 4-cylinder engine for the Edge. This resulted in a Crossover that gets around 24 mpg, but lacks in the horse power department. 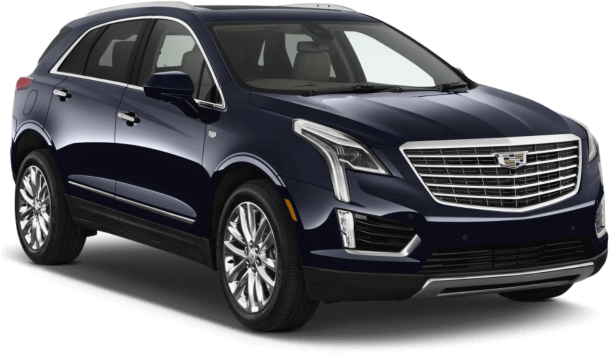 Comparatively, the 2019 Cadillac XT5 has a much larger 6-cylinder engine which gives the SUV more power. Even with its larger engine the 2019 XT5 still has an average of 24 mpg, so it has the best of both worlds. Price is also a big consideration when choosing whether or not to get a luxury vehicle – and that makes sense. Some luxury models can be tens of thousands of dollars more expensive than their non luxury counterparts. However, in this case the price difference is not that extreme. research you will feel comfortable making your own choice.